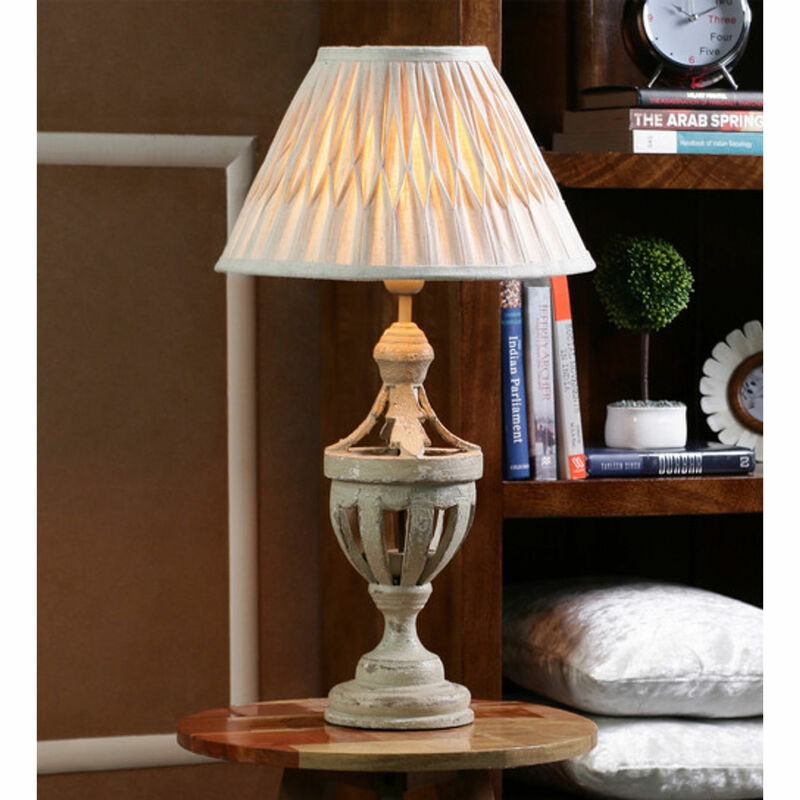 This 27 inches high lamp celebrates the exquisite appeal of subtlety. An Natural 6x9x14 inches shade, adorned gracefully over a delicately hued Grey base crafted with Wood, this lamp is an embodiment of class and panache. Tantalizing, soft colours to brighten your room with warmth, both when switched on and off. Colour : Off White, Lamp Base Material: Honeycomb Glass, Lamp Shade Material : Linen Pleated, Power Source: E-27 Holder & 2 Pin Round Plug Battery Operated - No, Shade: 6x9x14', Base: 27x6''. THE DECOR MART brings to you an exclusive collection of hand-crafted designer products which blend quality, affordability & functionality. Each product is tested using stringent quality-check protocols & is backed by our Quality Assurance & Returns Policy. This product has been hand-crafted especially for you! Slight variations in colour, pattern, texture, etc are inherent in the nature of hand-crafted products.